On October 15, Miguel Montero set Chicago on fire with a game-winning grand slam in Game 1 of the NLCS. The win snapped a 7-game NLCS losing streak for the Chicago Cubs, and gave fans boundless confidence entering Game 2 the following day. The atmosphere in Wrigley Field was electric (or so I’m told), and the surrounding neighborhood cranked the wildness up to 11 following the end of the game (this I know from experience). I can’t remember the last time that thousands of Cubs fans seemed as confident as they did after shelling the Los Angeles Dodgers’ bullpen and punishing intentional walks designed to force Aroldis Chapman off the mound. This Cubs team is different. They don’t quit, and they’re really good. The best team in baseball by most metrics, in fact. This is my favorite Cubs team ever. Clayton Kershaw was set to take the mound for Game 2, shadowed by the persistent narrative that despite being the best pitcher alive, he can’t perform in the postseason. Some Dodger fans would probably tell you that former manager Don Mattingly carries plenty of blame for riding his ace too hard. Kershaw came off of a relatively (for him) pedestrian start in the NLDS against Washington, and a bullpen appearance where he earned his first MLB save. The narrative that Kershaw is not to be feared in October is a stupid one; almost as stupid as using single-inning ERA stats. Anticipating a good game, I scraped together the money to get a bleacher seat for Game 2. After years of unsuccessfully trying to catch a Kershaw start, I’d get to mix that and another Cubs postseason game (my last was NLDS Game 4 last year, the clincher against St. Louis). Hopefully, I’d get to see the Cubs ding him around a bit. The best case scenario, as a baseball fan, was 7 innings of vintage Kershaw followed by a patented 2016 Cubs bullpen beatdown resulting in a 3-1(ish) win. As it happens, I got half of that. Kershaw spent seven innings mowing down the most potent offense in baseball, to the tune of 2 (correction: 3. 2 hits and one walk) baserunners allowed in one of the greatest displays of pitching efficiency I’ve ever seen live or otherwise. He was in the 40s on the count at the start of the fifth. After a long fly ball that gave the Dodgers a scare by Javier Baez, Dave Roberts went to closer Kenley Jansen for the save, and it was all over soon after. I don’t know what happened. I just know the shots wouldn’t stop going in. After about the fifth dagger in a row (he made 10 straight), the crowd started groaning on every make…If you’ve ever been in the building for one of those games, you know there isn’t a deadlier sound. 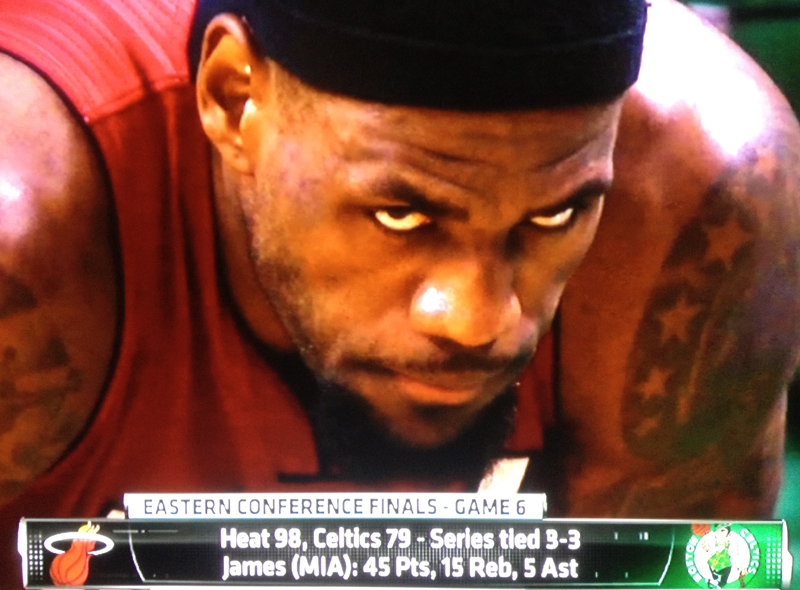 He single-handedly murdered one of the giddiest Celtics crowds I can remember. Thirty points in the first half. Thirty! All with that blank look on his face. It was like watching surveillance video of a serial killer coldly dismembering a body and sticking the parts in the fridge. Only we were right there. On Sunday night, Clayton Kershaw had his Game 6 moment. Instead of dagger shots, it was strikeouts. The crowd never got much of a chance to rally the team because Kershaw never allowed us that chance. Simple as that. Even when they managed a man in scoring position with two outs, it didn’t feel like he would get there. Anyone who says Kershaw wasn’t dominant, or that the Cubs lost and the Dodgers didn’t win, is fooling themselves. Kershaw didn’t just bury the Cubs in Game 2; he buried the unfair narrative that allowed people to question his position in the game for years. The thought in our minds changed instantly from “we can get some hits” to “we need to draw pitches to get him out of this game”. The problem is that he throws strikes you can’t hit. You might notice I haven’t brought up the score at all. That’s because it didn’t matter. The scorecard says 1-0, Dodgers. As a Celtics fan, I was devastated. As a basketball fan, I appreciated the performance for what it was. One of the greatest players ever was playing one of his greatest games ever…We never really had a chance to cheer, swing the game, rally our guys, anything. When it was over, everyone just got up and left. Obviously, no “Go Cubs Go”, but there wasn’t even as much chatter as I’m used to hearing leaving Wrigley. Less rowdiness in the bleachers. Just trying to figure out what time we could get home and to sleep by for work in the morning (seriously, I’ve never gotten from the bleachers to the Addison L stop that quickly before). We acknowledged what we saw. The best in the game performing at a high level, on short rest to boot. As an unabashed Kershaw fan with a soft spot for the Dodgers (weird I know), on some level I might even be happy I saw it. Just not like this, and not yet. All that was left was to think about Game 3. Don’t mistake this for me giving up on the series; the Cubs should be confident, and Kershaw can’t pitch every game. Hell, I even think they have it in them to beat him. But not that night. Mercifully, that’s one way this is different from basketball. But this one was a no-doubter. It was a home run where the outfield doesn’t move and the pitcher doesn’t look. Not for a single second have I felt frustration, or “what if”s from that night. We didn’t have it, and never got it. Kershaw made sure of that. It wasn’t depressing, it was finite. That was that. On to Los Angeles. This comparison isn’t perfect, but the parallels are undeniable. 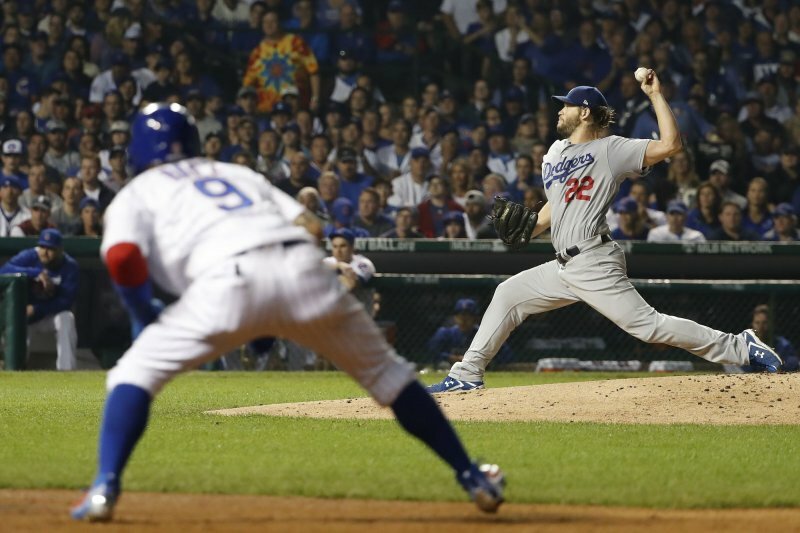 The performance that Kershaw put on in Game 2 should go down as one of the defining moments of his career. When he muted 42,000 people ready to vent 108 years of frustration, with revenge for 2008 on the line. When he told everyone to stop looking for any reason to doubt him, and backed it up. Each game is a new day; that’s baseball. No matter what else happens, Game 2 of the 2016 NLCS belongs to Clayton Kershaw. And your doubt belongs to the past.